With the exchange rate finally tipping our way, the United Kingdom is starting to pop up on itineraries again. Instead of dashing off to London, set your sights farther north. A mere six hours from New York (not bad for Europe), Edinburgh, Scotland delivers the charm of a smaller city without sacrificing urban convenience. To avoid the rush of tourist-trafficked streets, stay slightly outside the city at The Dakota Forth Bridge. 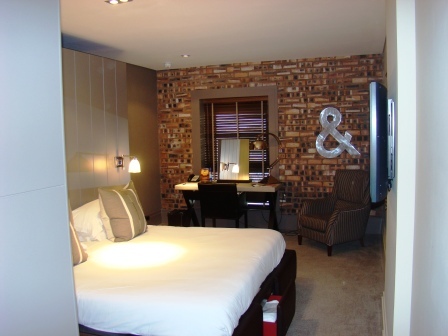 It isn’t far from the airport or downtown Edinburgh, and the guestrooms mix the aesthetic and comfortable effortlessly. Sample Scotland’s signature spirit at the Scotch Whisky Experience on the Royal Mile before sitting for dinner at The Rutland. Bring your iPod to plug into the wall in The One Below, the restaurant’s club, after the meal, and ask the waiter to concoct a unique Scotch-based cocktail. He’ll be happy to comply, while you watch the heat-induced designs scurry across the top of an interactive bar. Scotland doesn’t have to be castles and tour buses. Grab a whiskey, stretch your legs and take advantage of the dollar’s upswing.